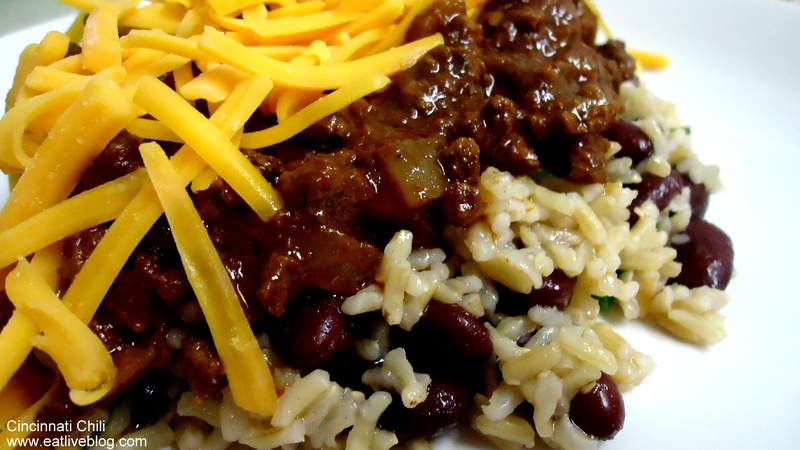 My love affair with chili is well documented. Any type, any where, any time, count me in for the palate pleasure that is meat and beans with a kick! Cincinnati Style Chili, made most popular by the Skyline Chili franchise, has always peaked my interest, mainly because it was so uncommon in Florida where I grew up and also because it generally comes with lots of different toppings! Amanda’s recipe was amazing, but I had to make a few alterations for my household. First, I cut down the recipe by one-third. I had my bets hedged that I would be doing the majority of eating on this recipe. Second, I decided to eat mine over brown rice due to the amount of pasta currently on the week’s menu (this is sacrilege for Cinci Chili, I know! But it was delicious!). 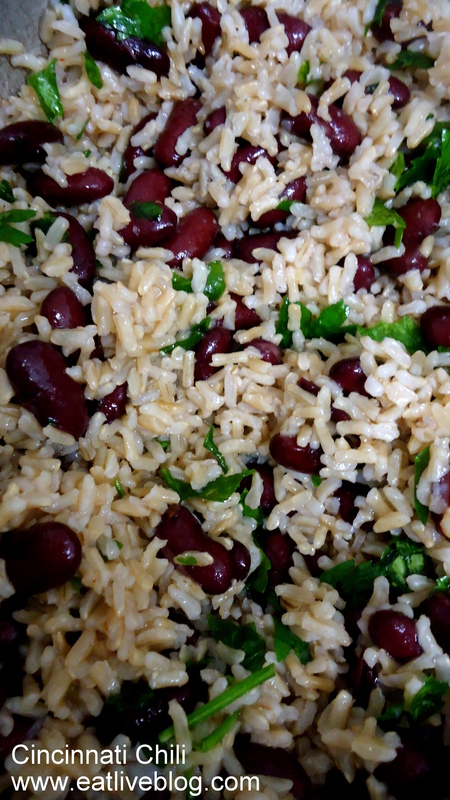 Lastly, I mixed the parsley and beans into my rice so I could serve the rest of it beans and parsley free. This was delicious! It was so spicy and so different from anything else I make! It was a really nice change, and something I will absolutely add to my rotating menu. Next time I will make sure to plan a little better though so I can have mine the good-ole-fashioned pasta style! 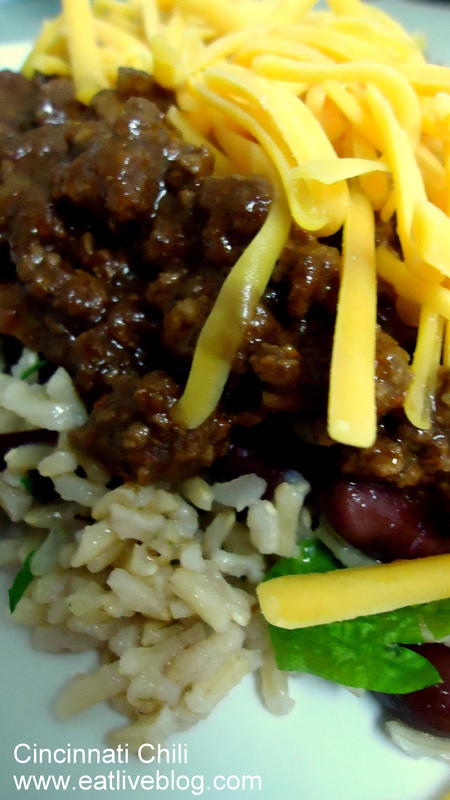 This entry was posted in Recipes and tagged Beans, brown rice, chili, cincinnati chili, dinner, dinner recipe, ground beef, main course, main course recipe, main dish, main dish recipe, recipe by reneeh. Bookmark the permalink. I’ve never had Cincinnati style chili. Love the addition of cinnamon here! I’ve always been intrigued by Cincinnati style chili. Your version looks great! For some reason, I always thought the differences lied just in serving it over spaghetti. I didn’t know there was also a difference in the way the chili itself tasted. 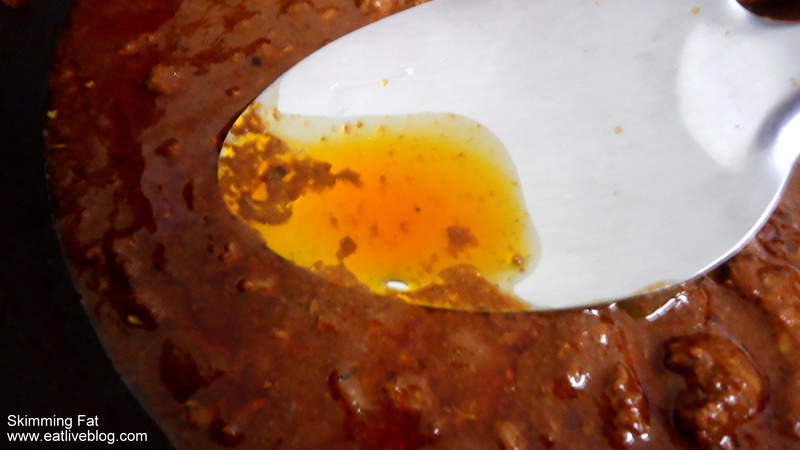 That said, I LOVE cocoa in my chili. It’s become a standard part of the flavor blend of my chili base. Generally I tweak it a bit every time to include different veggies or meats but the standards are usually a bit of bacon (does wonders for flavor), onion, garlic, chili powder, basil, oregano, cinnamon, brown sugar, cumin, tomatoes and tomato paste, and dijon mustard. The blend works so well and adds so much flavor.